Usher in the year of the wooden dog in tradition and luxury as Widus Hotel and Casino celebrates the most important holiday on the Chinese lunar calendar with gastronomic delights and exciting promos. Experience a long-standing Chinese tradition with a dragon dance performance followed by mouth-watering feasts of various gourmet dishes as Widus’ seasoned culinary team creates a special buffet menu to bring in good fortune to the festivity. Savor a truly sumptuous myriad of flavors at Salt Resto for lunch at Php1,199/nett per person and dinner at Php1,399/nett per person. 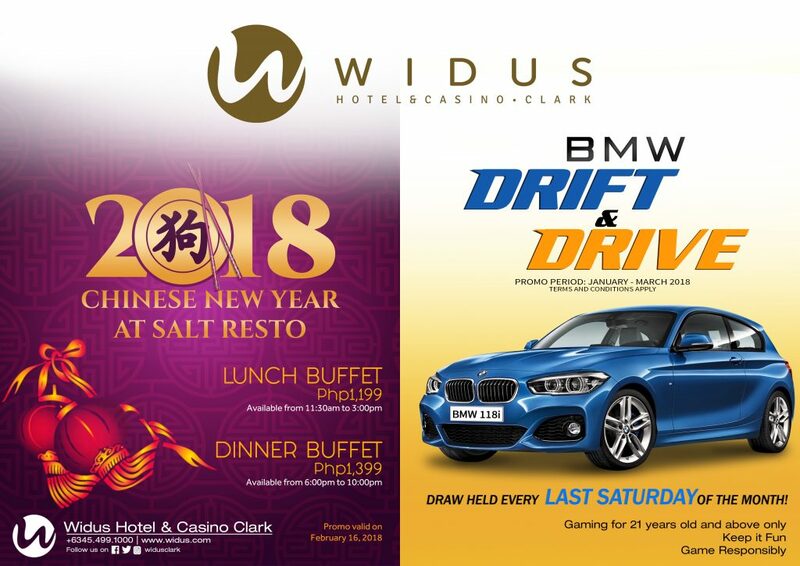 Take your experience a notch higher by trying your luck at Widus Casino where one can win up to Php500,000 on the weekly draw and even take home a brand new BMW on its monthly “Drift and Drive” draw. 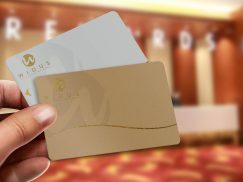 Widus Hotel and Casino is Clark’s preferred one-stop leisure destination located at Manuel A Roxas Highway, Clark Freeport Zone, Pampanga, Philippines.